THIS LISTING IS FOR A SIZE MEDIUM ADULT COSTUME. PLEASE MAKE SURE YOU'RE PURCHASING THE CORRECT SIZE. 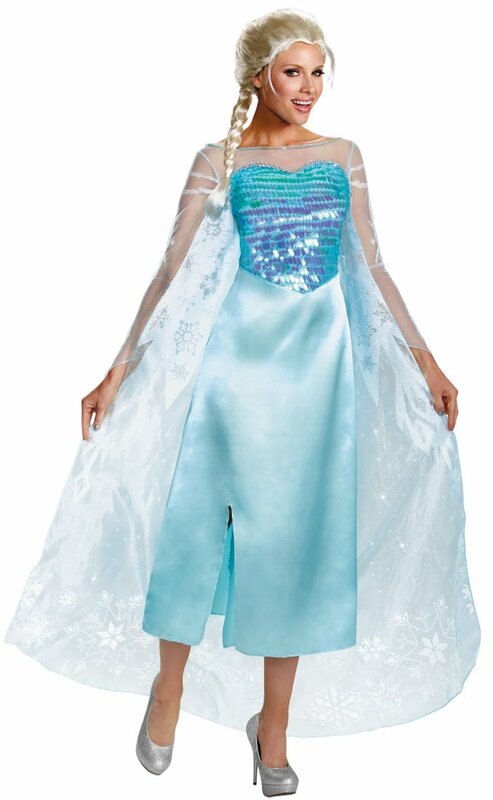 Our Queen Elsa adult costume features a dress with attached cape. ( 4 – 6) 33 - 35" 24 - 26" 35 – 37” 5'7"-5'8" 110-120 lbs. (8 - 10) 35-37" 27 - 29" 37 - 39" 5'8"-5'9" 120-130 lbs. (12 - 14) 38 -40" 30-32" 41 -43" 5'8"-5'9" 135-145 lbs. (18-20 Plus) 45-47" 37-39" 47-49" 5'8"-5'9" 175-190 lbs.